Making the right renovation choices for your home can be tough. You want to have something that is cohesive with the rest of your house, while still adhering to the designs that inspire you. Not to mention the most important part, which is having a fully functional and beautiful kitchen. 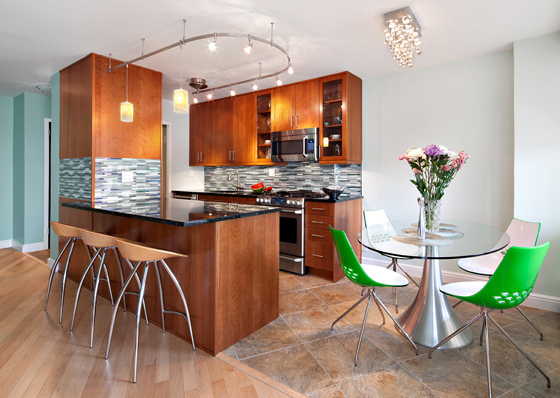 In most cases, many people find it easier to just hire a contractor to do the work when it comes to their Manhattan renovations. But hiring a contractor can mean hiring a decorator, and sometimes having to have a middle man to deal with deliveries as well. That is why all in one renovations have become more and more popular in recent years. An all in one renovation package includes the design choices for your kitchen, as well as the choosing and delivery of the products that you need, and finally the renovations themselves. This can be a lifesaver for those who are incredibly busy, or those who are not familiar with the different steps involved in a kitchen renovation. By choosing a single company to handle all these tasks, you can be confident that there will not be any sort of communication issues nor any surprise fees being incurred. It also gives you a single point of contact if you find that you have questions or concerns about the renovations. That way you aren't wasting time calling the designer for an issue with a contractor, or vice versa. With an all in one renovation company, you can speak with someone within the company and know that your concerns will be dealt with.